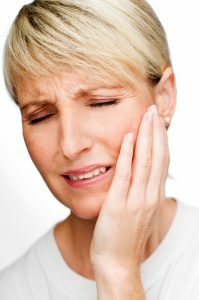 From Your Dentist in Rockledge: Don’t Delay if You Are in Pain! Nothing ruins your day quicker than dental pain! It may start off as a slight twinge or sensitivity to hot and cold, even though it may go away, this is a good time to contact your dentist. This is an early indicator of tooth decay or a dental infection and being proactive about your pain may save you from more costly and invasive treatment. If you do ignore the warning signs, you may find yourself in a full-blown dental infection complete with the kind of pain that can wake you up at night! Your dentists in Rockledge want to remind you not to delay calling if you’re in pain. Tooth decay that reaches the root of your tooth can cause severe pain and infection. This occurs when you don’t remove decay from your tooth, or sometimes from an injury to your tooth. You may need root canal therapy to alleviate your pain and infection. When you act quickly and contact your dentist at the first sign of pain, your tooth most likely can be preserved. Patients who wait for their pain to go away, or are not proactive about treating their infected tooth may loose their tooth and require an extraction. When your tooth requires root canal therapy, Dr. Jeff Nichols or Dr. Ryan Collins will remove the infected root from your tooth through a small hole drilled in the top of your tooth. Once the infection is cleaned out, your tooth will be sealed with a temporary filling and given time to heal. After the healing time, you’ll need to strengthen your tooth with a permanent filling or crown because it’s not as strong as it was before root canal therapy. Dr. Nichols and Dr. Collins are experienced in helping patients in emergency situations. We’ll use dental anesthetics to ensure that you don’t feel anything during your procedure and you’ll find that the anesthetics relieve your pain immediately. After treatment, you may be prescribed an antibiotic to help eliminate infection and pain medication to be taken if needed. Most patients are pleasantly surprised at how smooth and comfortable a root canal actually is. Better yet, you’ll retain and preserve your natural tooth. If you’re experiencing dental pain, discomfort, or sensitivity, we encourage you to give us a call right away – it can mean the difference between saving and losing your tooth.